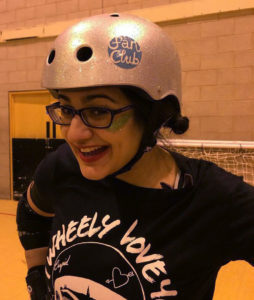 After the success of last years ‘First Skate, Love at First Fight’ tournament, the Dolly Rockit Rollers will be repeating the event to help Rookie players get their first few games under their belts. This was my first cherry popper last year and it was AMAZING. Highly recommended to any rookie skaters. Last years’ event was held at Parklands Leisure Centre in Oadby, Leicestershire and will be held there again this year. The Dolly Rockit’s have their own track painted into the sports hall floor in pink, making it much easier to practice there. 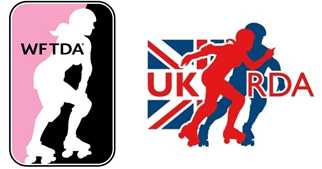 They will all play each other in order to decide who will be the First Skate champions! 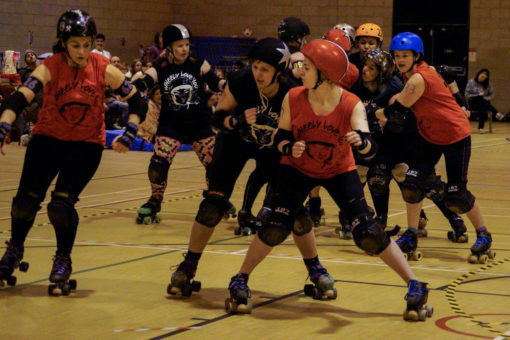 Why not come along and support these fresh skaters… they’re ready to get in some Roller Derby action!!! Tickets are available now in our shop.